A hackathon can be the wind to the sails of your business. Regardless of the niche or industry, your business belongs to, conducting a hackathon can be an excellent choice for generating new ideas, and potential fusion of existing ideas that could lead to a fresh perspective altogether. At HackerEarth, we have conducted over 2,000 hackathons to date, for enterprises, companies, startups, non-profits, universities, and others. All this while, a myriad of people have reached out to us, asking for suggestions or tips on conducting hackathons. After having organized so many hackathons and being a part of them, it’s safe to think that we can write on this subject. Primarily, an organization can conduct hackathons among its employees and associates, typically known as internal hackathons. These hackathons can be around new challenges, letting employees collaboratively brainstorm and develop ideas in a wide range of niche verticals. These ideas could range from developing new products and services to projects on workplace design or improvement of staff relations. They help businesses achieve continuous productivity. 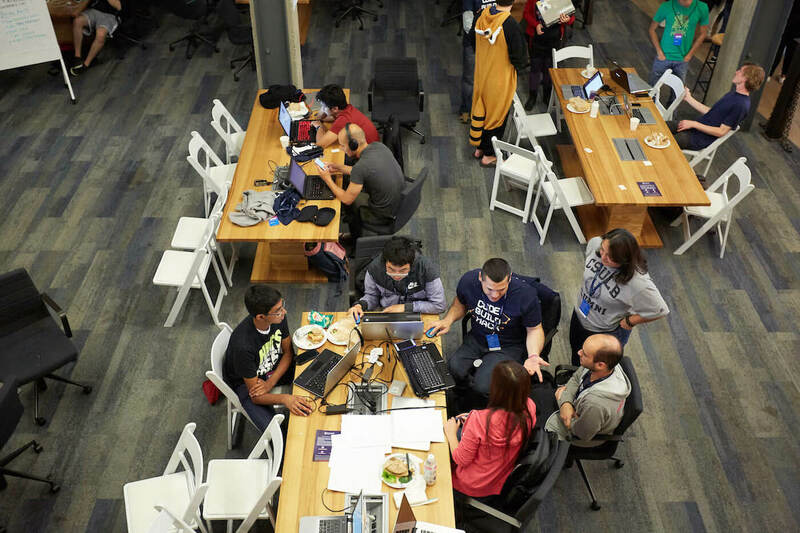 Hackathons can and are also organized for the larger and external community, which allows companies to gather fresh ideas and an external perspective. This is a more popular format of a hackathon and has been around for quite some time. The first gathering of technologists that was titled as a hackathon was the OpenBSD event in June 1999, in Calgary. This is one of the best methods of crowdsourcing and empowering ideas. Great ideas are never restricted to winners. For example, the developers of GroupMe did not win the TechCrunch Disrupt Hackathon. However, they continued to work on their idea and eventually sold the GroupMe app to Skype for approximately 85 million dollars, just 375 days after the launch! 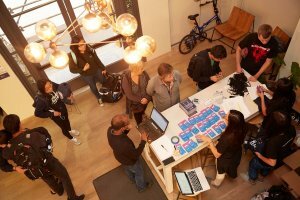 In any case, a successful hackathon can be a gamechanger for brands and a visible factor of distinction for businesses, products, and services among employees, customers, and the larger user community. However, there’s so much involved in terms of planning that we can’t specifically point out every important action item. 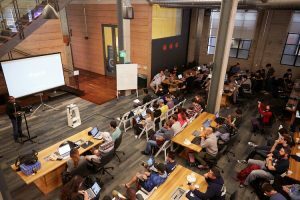 Through this article, we hope to cover the top 10 things to keep in mind while conducting hackathons. To begin with, ask these questions: Why do we want to organize a hackathon? What do we want as an end result? Who is the target audience? Different organizations host hackathons for different reasons. Some see it as a purely marketing development strategy while others are interested in a much niche and complex technological solution. Hence, having an answer to these questions is of utmost importance. Organizers can always choose to explore existing verticals or examine new ones. Defining a clear agenda is instrumental toward defining the success parameters of a hackathon. Hackathons involve a significant amount of money. Hence, it’s a wise practice to define the budget from the start. Allocating a budget helps one know how much money needs to be raised and how to prevent going into a deficit. These funds can be provided by the organization itself or could be acquired from sponsors. The name of the hackathon should ideally be around something the target audience can relate to. The community should be of primary concern and the company’s role should seem neutral. It’s not recommended to name the hackathon after the organization/institute. The theme of a hackathon should influence the demographics of developers, as well as their overall expertise, acting as a catalyst to excite developers to attend the event. Hackathon attendance varies due to seasonality. Holiday seasons usually see a poor turnout of attendees. Hence, putting out clear timelines helps both organizers and attendees plan better. Depending upon the scale of the event, it is advisable to keep at least four to eight weeks in hand to successfully execute the hackathon. Also, a good marketing strategy is the key to get the word out. One can build relations with influencers who can spread the word via social media. 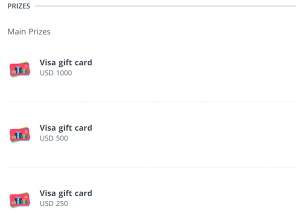 Not to forget, there is always an option to run paid promotions. Furthermore, one can request their sponsors to help with cross-promotions and leverage their networks. It goes without saying, nothing concrete can happen until the venue is finalized. The venue should be of the appropriate size based on the hackathon. Making sure there is room for all attendees and their devices is necessary. Needless to say, arrange high-speed Wi-Fi, comfortable sleeping areas (bean bags, sleeping bags, etc), enough electrical plug points, and whatever is deemed necessary. To make sure that potential sponsors from different domains can be part of this event, tiered sponsorship, and relevant pricing should be used for what one can provide in return for support. This can include different kinds of products/API exposure, as well as branding opportunities. 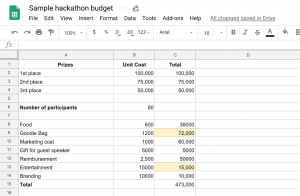 Most importantly, the expensive components of a hackathon are a venue, food, and prize money. Assistance from a title sponsor can take care of one or multiple of these. If renowned sponsors are being part of the hackathon, there is a higher chance that more skilled participants will attend. Rules and FAQs of the hackathon should be stated clearly on the hackathon page. This helps avoid problems and controversies in the future. It is advised to make a presentation on the day of the hackathon and state the rules, code of conduct, and the criteria for judging. Stating FAQs, such as “Who will own IP rights of the product built at the hackathon?” and “If there are any travel reimbursements?”, can give participants a sense of clarity regarding the event. Who doesn’t love great prizes! After all, they are one of the primary motivational factors for someone to attend the hackathon. If people are willing to give up a day or more to develop something amazing, it needs to be for a compelling reason. However, the question of what is a great prize is subjective and depends on various factors such as the complexity of the problem statement, the target audience, geography, etc. Prizes do not always have to be big or financial. Apart from the main prizes, it’s advisable to give away special prizes like Best UI, Best Presentation, Lone Hacker, etc. Invite companies to sponsor a prize and let the sponsors choose the winner for the special category. Do make sure there are goodies arranged for everyone. Every hackathon enthusiast looks forward to receiving those, and one can always make a symbolic gesture to show appreciation and recognition for all attendees. Okay, this point is very important. You want this day to be different than any other day, and what better than providing free food. One might face a situation where food has been over-ordered and it’s painful to see it being wasted. However, it is nothing compared to the wrath and frenzy of hungry developers. Hackathons are a great opportunity to connect and expand one’s network. Great hackathons ensure there are connects and collaborations happening at the highest level. Get to know the hackers and sponsors and introduce them to one another. As the fluidness of the communication increases, there is a high chance that so will the ideas. It also helps create a positive and welcoming atmosphere. Form a judging body of people who have the ability to make the right decisions. Define the judging parameters and set up a panel of industry experts. 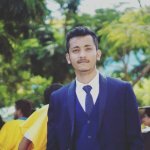 The credibility of the judges and their reputation in the sector act as an inspiration for programmers to participate in these hackathons. Hackers want their work to be recognized and seen by the big-wigs of the industry. An additional factor to keep in mind is after the hackathon wrap-up, the hard work of developers is showcased to the world. For instance, one can share pictures and videos on websites or write a blog post mentioning the best hacks built in the hackathon by any team, whether they are the winners or not. Make sure you thank all partners and sponsors and also let participants know if there are any intended future plans for the hacks built. Hackathons have always been a platform that put everyone on a plane level field to express their creativity to the peak, irrespective of their position, status, gender, or race. Applications and features like GroupMe, Flutter, Doracy, Zaarly, and Facebook’s legendary news feed were born at hackathons. If you think you are not ready to host a hackathon yet, you can always be a part of one as a sponsor. You might get an idea for a new product or improve an existing one. In any scenario, you will be a part of a distinct innovative process. It’s a win-win situation anyway! If you want to know and understand every nuance associated with hackathons, check out our Hackathon guide.